Barely any comic book films have had a remarkable effect that Black Panther made a year ago for Marvel Studios. It wasn’t only a film that crossed the $1 billion mark in the cinematic world, and it wasn’t only an action-packed fight royale like the Avengers films. Black Panther is a profound character study into oppression in Africa. And how it reverberates with the outside world. Above all, it prided itself on substance over style as it conveyed an immense social message for society. Will Black Panther Win An Oscar? And now it has turned into the first Marvel hero film to be named for the Best Picture award at the upcoming 91st Academy Awards next month. Numerous analysts and fans, as they loved what director Ryan Coogler did, wouldn’t test the nomination. Yet there are same number of pros as there are cons with respect to why the rise of Chadwick Boseman’s King T’Challa should bring home the success. Now, we know it’ll be amazing if Black Panther ends up winning Best Picture. However, you can’t deny it doesn’t really deserve it. It has a 97 per cent Certified Fresh rating on Rotten Tomatoes, and the critical approval has been stupendous. The script from Coogler and Joe Robert Cole had a profundity to it like no other comic book film had. We have had cerebral movies like The Dark Knight (which won the Best Supporting Actor for Heath Ledger’s role in 2009) and profound jumps into governmental issues, as Zack Snyder’s Watchmen. In any case, Black Panther was in excess of a fallen ruler battling back against a tyrant like Michael B. Jordan’s Erik Killmonger. Black Panther represented black people turning out to the world, the enchantment of a continent and genuine change. This movie turned into a vehicle for social justice in a time where racial pressures and prejudices are at an untouched high. It felt like an expansion of the Black Lives Matter movement. Thereby, sinking its teeth into Hollywood and reminding the industry that it’s not about black people but also minorities in general. #WakandaForever turned into a platform, a movement, a crusade for inclusivity and diversity. That reached out behind the cameras, as Coogler guaranteed that, in the background, things would be dealt with by non-white individuals. 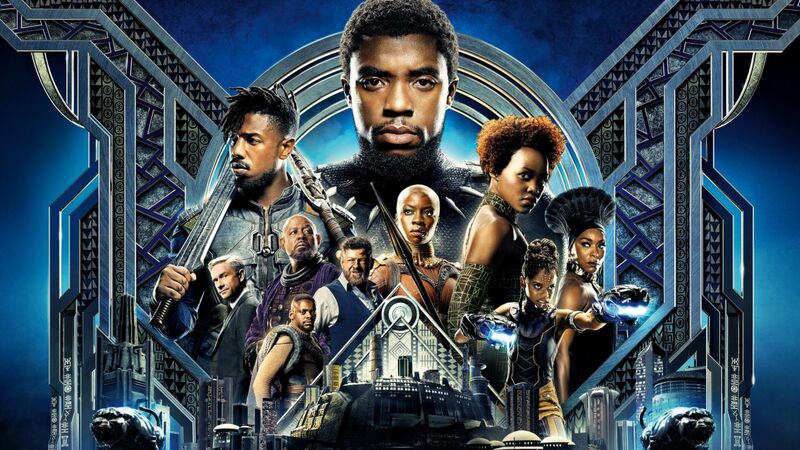 In a time where most of the superheroes are white, there isn’t a Blade film to hook onto, and the other black characters in the MCU are simply supporting characters. For example, Anthony Mackie’s Falcon and Don Cheadle’s War Machine. Black Panther as a hero, was up front, drawing in us, creating some excitement, inciting talks about subjugation and colonization. Also, how those things have undulated all through society for quite a long time. Killmonger’s speech towards the end reflected him less as a villain and more as a rebel we feel for and identify with.